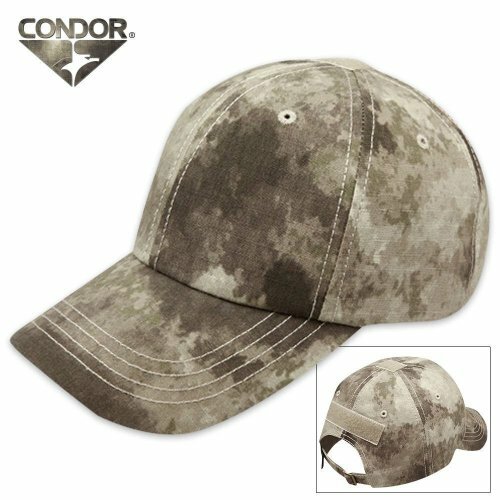 Save 1% on the Condor Tactical Team Cap A-TACS AU by Condor Outdoors at Freedom from Government. MPN: TCT-009. Hurry! Limited time offer. Offer valid only while supplies last. A-TACS (Advanced Tactical Concealment System) Camouflage Pattern is Universal Camouflage but works best in open, rocky, arid and urban environments. A-TACS (Advanced Tactical Concealment System) Camouflage Pattern is Universal Camouflage but works best in open, rocky, arid and urban environments. Great items for Tactical Wear, Groups Paintball and Airsoft Teams! If you have any questions about this product by Condor Outdoors, contact us by completing and submitting the form below. If you are looking for a specif part number, please include it with your message.